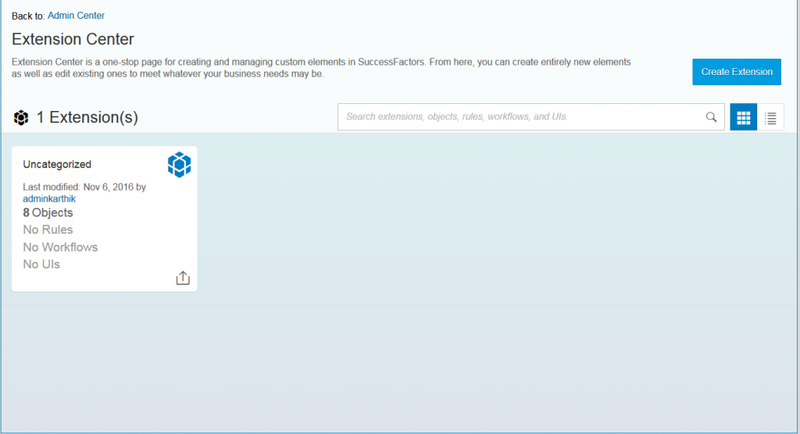 SAP SuccessFactors “Extension Center” was introduced in Q3 2016 as an enhancement to SAP’s extensible framework. It was earlier known as “Metadata Framework.” The term Metadata Framework is very technical sounding jargon and it wasn’t conveying the usability to its target user group, i.e. Administrators. Extension Center is essentially meant for Customer Administrators and Partners to build Extensions on top of Employee Central to meet specific Business Needs. How to Enable Extension Center? Go to Admin Center -> Search and Click on “ODATA API Metadata Refresh and Export” -> Click on the “Refresh” icon under Refresh Metadata Cache. Note: Apart from these permissions, the User should have Edit access to “Workflow” to use Extension Center. Once the required Provisioning and RBP permissions are given, the user can type in transaction “Extension Center” and see the default screen in Admin Center as shown in Figure 2. When do you use Extension Center? You create an Extension when a certain Business Process is not available in standard EC offerings (because it’s really not part of an Employee Life-cycle) and relevant to an organization’s business process for tracking or record keeping purposes. Customers typically build extensions for their own specific business needs. Who can use Extension Center? The entire purpose of Extension Center was to enable customers to be self-sufficient in Employee Central framework without depending on a SucceessFactors professional services team or partners implementation team. Typically, a customer system admin (i.e. an HR admin with an inclination for technical design and with analytical skills) can create and deploy these extensions (provided Extension Center is already enabled in Provisioning) in Admin Center. How to Access an Extension? In this blog, I will concisely cover some high level steps and processes to create simple extensions. Note: A detailed user guide is available in SAP Help Portal (http://help.sap.com/cloud4hr). I will go through the step-by-step process to create an Extension in a subsequent blog. For this example, there are three types of roles, or operators, involved: HR Admin, Employee, and Supervisor/Manager. A system Admin/HR can go to Admin Center -> Extension Center to create a new Extension. Once an extension is created and available, it will show up in the Extension Center home page and is editable at any time (e.g. Cell-Phone Request). An Object is the main element of an Extension and defines all information which is part of the Extension, such as: Fields, Rules, and Workflows etc. Rules are defined for each Object. 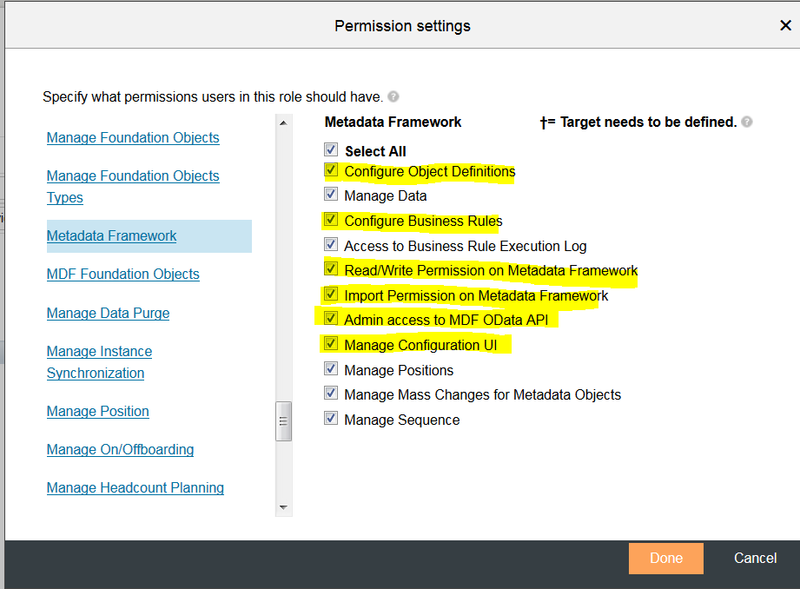 They use the same MDF (Meta Data Framework) that is used to create rules in Employee Central (e.g. for Hire/Rehire etc). You can create a brand new rule or use an existing rule and associate it with the Object. You can also use rules to keep track of data changes (by triggering an approval). 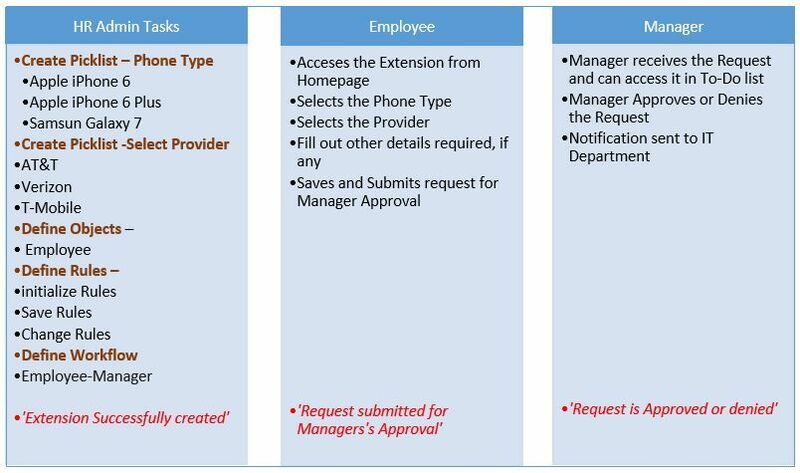 For “Request Cell Phone,” a rule can be created to exclude a certain department or exclude a certain Employee Group from requesting a cell phone etc. You can use the UIs page to define what the form should look like. With the MDF UI functionality now HR admins can create the Form design right in the Extension. All previously created picklists and associated fields automatically appear on this page. Once the Extension is ready, the final step is to publish the extension from the home page of Extension Center. To publish an Extension, the Source and Target instances must be specified in Provisioning. Note: For this activity, customers have to rely on implementation partners or SAP Cloud Product Support team. In Provisioning, go to Company Instance -> Instance Synchronization Company Permissions -> The Synchronize Company Data Permission page appears. Select either Configure Instance in the same Data Center or Configure Instance in different Data Center depending on whether your Source and Target instances are on the same Data Center or not. Enter Target Data Admin’s User ID, and select the Source. The Select Objects dialog box appears. Select all Configuration Items, and click Done. Publishing an Extension requires access to “Instance Synchronization Tool” in RBP. 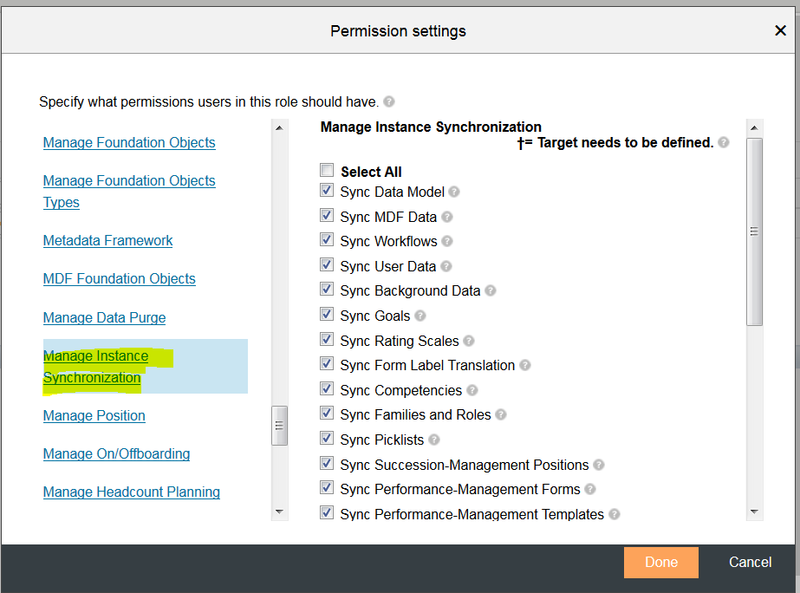 Admins must have access to all Tasks under “Manage Instance Synchronization” under Administrator Permissions (highlighted in yellow) in RBP. An Extension can be configured to access as a Link in an existing tile in the home page or a new Custom Tile can be created for that Extension. It is done via the “Manage Home Page” transaction. I will cover the detailed step-by-step configuration in Part II of this blog series. 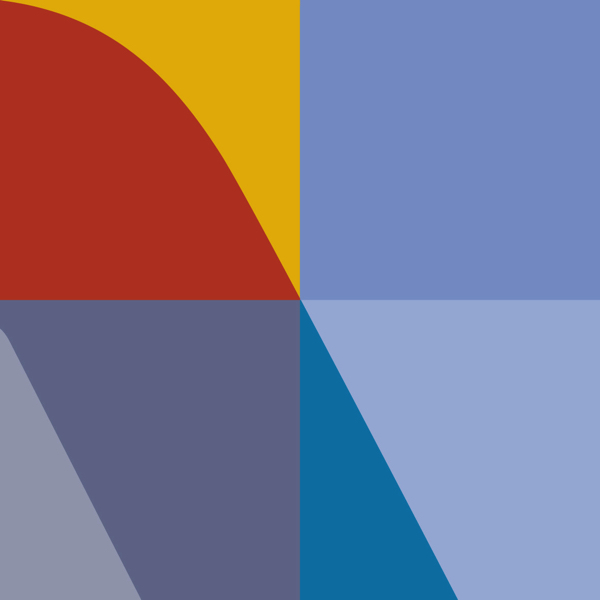 Click here for more information on SuccessFactors.